Since the advent of the Internet, there have been a variety of new mediums through which people can receive news, share information, and bounce thoughts off one another. The great thing is, anyone can do it. This allows for conflicting viewpoints to mesh into a conversation through which reasonable conclusions can be made. If you believe you have information that the world should hear, you have an interesting option in starting a blog. While you may think it is difficult to get started, it’s not when you use WordPress. This innovative platform makes it easy for anyone to voice their opinions, market products and services, and gain a following. 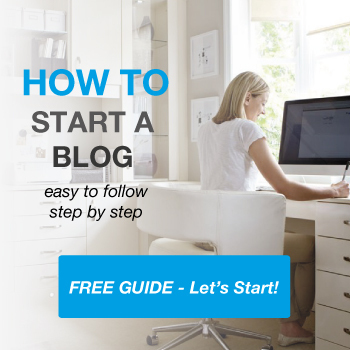 If you are considering starting a blog, you have two options: WordPress.com and WordPress.org. Depending on your budget, limitations, and maintenance development, there are certain considerations to make before coming to a decision. WordPress.com is an excellent resource to utilize if you are trying to promote a commercial venture, and with this service you have the ability to choose whether to take advantage of free features or pay a yearly fee in order to remove certain limitations. It is easy to get started. Simply visit WordPress.com to access the necessary software, and you will receive easy-to-understand instructions on how to get everything started. Best of all, since this is a hosted service, you are free from the daunting task of finding a web host or downloading software. With WordPress.com, all of this is done for you. If you are looking for a viable platform through which you can build a website or manage content, look no further than WordPress.org. In fact, this service has become so widely popular that a whopping 30% percent of the Internet is powered by this technology. You have a lot of flexibility using this software with multiple plug-ins to help you create a design that best represents your ideas. Simply download the WordPress installation files and begin searching for the themes that pique your interest. Upon first glance, it would appear that WordPress.com is for bloggers while WordPress.org is for commercial sites. However, when deciding which blogging platform is best for your purposes, there are a few more considerations you should make starting with the price. Using the WordPress.org software is free. However, many fail to understand the fact that you still have to pay for hosting, and this does entail certain costs. Fortunately, you don’t have to spend a fortune. Sites such as BlueHost will provide you hosting and a domain for around $50 per year, you can read more about WordPress Hosting or check my BlueHost review or Hostgator reviews. The Basic Plan- This plan option is free of charge, and the benefits you receive include free blogging, a WordPress.com web address, and general customization. However, you won’t be able to enjoy premium themes, e-Commerce, video storage and community support. The Premium Plan- Running $99 per year, this plan extends your opportunities as it offers not only video storage and advanced customization but also a custom domain and 13 GB of space. Not to mention, there will be no pesky ads on the site. The Business Plan- This plan runs the highest at $299 per year, but, it can be worth the investment for the return it can offer in its e-commerce capabilities. In addition, it also includes 50+ premium themes, unlimited space, and live chat support. To help make your options even more affordable, there are additional features you can add to any plan to help you best customize your site for your specific needs. For example, for just $30 per year per blog, you can receive a custom design. You can also pay $13 per blog per year for a site redirect and $60 per blog per year for VideoPress. The options are extensive and can truly allow you to customize your site to meet your specific needs. In summary, the costs vary, and what you should spend depends on your needs. If you just have general specifications and don’t mind the free themes and don’t need a custom domain, the WordPress.com basic plan is your cheapest option. However, if you prefer more features such as unlimited storage and no advertising, WordPress.com can quickly become costly. If you are on a strict budget, then opting for WordPress.org can be the best option to help you stay within your cost constraints. While deciding which platform is optimal for you, it must be considered how heavily limitations weigh. If full control is something that will have a high importance on your site in the long-term, opting for WordPress.org software is your best bet. Your daily schedule has a lot to do with your ultimate choice. Do you have time to make regular updates and perform maintenance on your site? If so, the control offered by WordPress.org is worth the consideration. However, if you don’t anticipate you will have time for technical maintenance and security, managed WordPress hosting from WP Engine (review) may be a better option as this is all done for you. Making the choice between these two popular platforms takes careful time and consideration. However, when you mull over these three primary factors, you can come to a conclusion that best meets your individual needs. I want to add – I am looking to start a blog so this is a little bit confusing. I really like your article – this part through me off. Thanks for your consideration. There is a lot more control and a lot more that you can do with your own self-hosted WordPress site (WordPress.org). I would highly recommend every new blogger to go this route. In the long run, you will be better off. Thank you for sharing this insighful review! I want to start my online IT tech support small business soon, I want to use wordpress but not sure what to use .com or .org? I plan to introduce a e-commerce part to it after few months. Can you please advice me I am very confused. WordPress.org can do that. I’d go for a .com, but .org is also good. I need to create a website for my Junior Chess Club and I want to use WordPress but not sure which one to use .com or org? Depends if you want to have complete control over your content, domain name, look and feel of your website etc. If you do want complete control then WordPress.org / self hosted is the way to go. Read more about it here.